Doctors and nutritionists have been urging the general population to consume more fish in order to improve health and help maintain a healthy weight. Fish can be incorporated into almost any type of diet (except vegan diets, of course). However, with so many different fish available to choose from, selecting a type of fish for dinner based on nutrition facts can be confusing. Wild salmon is a strong-tasting, red or dark pink colored fish high in nutrition. It can be served as a filet or incorporated into many different dishes. Salmon is an oily fish, providing 40% of its energy from fat. However, the oils in salmon are the healthy kind, primarily unsaturated and full of omega-3 fatty acids. Omega-3s are very good for the heart and will not elevate LDL cholesterol. Being an oily fish salmon is relatively high in calories per serving. Salmon is an anti-inflammatory food. Its high omega-3 fatty acid content helps reduce inflammation, but in addition it contains bioactive peptides that may be active against inflammation, especially in the joints. These same peptides may help regulate insulin production, suggesting salmon may have additional benefits for individuals with diabetes. Salmon is rich in various B vitamins and minerals. Wild-caught Alaskan salmon is the preferred source of salmon. It is consistently low in mercury and dioxins, and the Alaskan salmon harvest is reported to be sustainable and conducted in an environmentally sound fashion. Tilapia are a tropical fish native to Africa. They are white and have a very mild flavor. Even people who claim to dislike fish often enjoy the flavor of tilapia. Most tilapia is farmed rather than wild-caught. 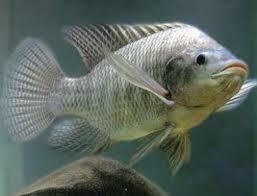 Tilapia are easy and economical to raise on farms- they grow very rapidly and consume a completely vegetarian diet. Unlike most fish, tilapia, even wild-caught tilapia, don’t accumulate mercury or other toxins. Tilapia is a very lean fish, providing 81% of its energy from protein. The oil in tilapia, particularly farmed tilapia, is not as beneficial as from some other types of fish. About one-third of the fat in farmed tilapia is saturated, meaning not good for the heart, and the omega-3 content is low. However, because the oil content of tilapia is so low overall its composition is not really of concern. Tilapia should be thought of as an excellent source of lean protein rather than as a source of any kind of fat. It has so little fat it is unlikely to affect blood cholesterol levels. It is so lean that it can be an excellent choice for individuals trying to lose weight. Trout are a freshwater fish. They are related to salmon, and similar to salmon, are an oily fish. They have a white flesh and a flavor that most people enjoy. Trout has around 160 calories per 100 gram serving, with 61% from protein. Wild-caught trout are an excellent source of omega-3s. Farmed trout are less healthy in composition but do provide some omega-3s. Trout is very low in mercury and dioxin. Tuna should be separated into two very different categories- canned, and fresh. Canned light tuna packed in water is a mild-flavored extremely lean fish. It has only 118 calories per 100 gram serving, making it an excellent choice for people interested in weight loss or on lower-fat diets. Fresh tuna is a strong-flavored oily fish. A 100 gram bluefin tuna steak has 184 calories, of which 31% are from omega-3-rich fat. Rich fresh tuna steaks should be treated like salmon- a fatty, but very healthy meat, rich in omega-3s, B vitamins and minerals. Some types of tuna are very high in mercury and should be eaten sparingly, such as canned albacore or white tuna, Ahi tuna, and bigeye tuna. Yellowfin tuna, the most common fresh type sold in U.S. grocery stores, does contain some mercury. Even bluefin and canned light tuna contain sufficient mercury that pregnant women may want to limit their consumption of it. White sea bass are a mild-flavored white wild-caught fish. It is a relatively lean type of fish. What little oil it has is a rich source of omega-3s. 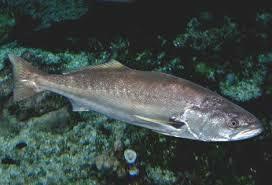 White sea bass fisheries are considered to be sustainable and environmentally friendly. Diet Like a Celebrity, Eat Fish! ← Fun Fishy Facts About the Smallest Fish and the Largest! I’m trying to lose weight. Which fish would be the best choice? White sea bass or canned light tuna are both very low in calories, high in protein, and are rich in nutrients. Either would be an excellent choice for weight loss. My spouse has type II diabetes. Which fish would be the best choice for us? The facts indicate that all fish are excellent choices for diabetics. Fish are extremely low on the glycemic index and contain no carbohydrates. 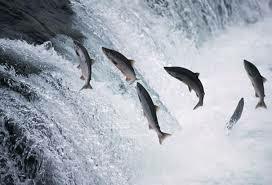 However, salmon may have unique properties that contribute to insulin control. I’m pregnant and trying to avoid mercury, but I still want to experience the health benefits of fish. Which fish should I choose? Tilapia is the fish with the lowest mercury levels. Salmon, canned light tuna, and trout are all categorized as low in mercury content. Fun Fishy Facts About the Smallest Fish and the Largest!